Hi Friend, today we will learn "How to host your WCF services on your local Network and access it through your client application". If your computer is connected with more than one computers through LAN ,then you can access your wcf services on other computers also. But You have to make this computer as a server where your WCF services are hosted.You can access this Network ( local host) services from the other computers also. Now You can Host your WCF Client application on IIS server also.So that you can access it like this URL:-http://localhost:49864/Wcf_clientapps/ on other computers . Same concepts are used on virtual server also. Here You can host your services on server.and host your client application on same server or different servers.But here you can access it like this URL http://www.myserverice.com/ . both concepts are same, so here we will learn, how to access your wcf services on your local networks or local computers. You have to understand the concepts of address Format concepts of WCF. 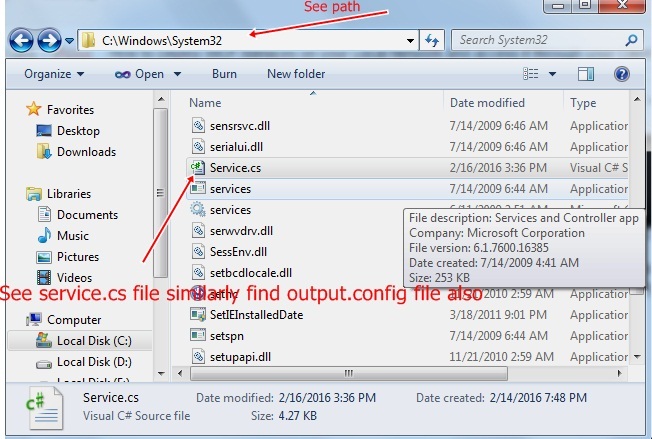 First create a WCF service, Follow Step 1 to Step 5 from here. After creating a services the Next Step is to configure the service. Configuring WCF services includes defining ABC for the services. Note:- First Change Your contract Name in this above codes,here my contact name is Istudent_data .If your contract name is different then you can change it , for this See the IService.cs file. 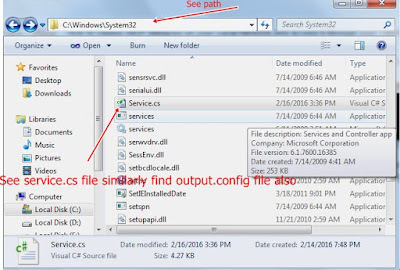 Step 4:- Now go Your Drive Path as shown in above image --> Copy these two files (service.cs and output.config) and paste it on your desktop or a separate folder (we will use it when we will configure the WCF client application). After configuring a WCF service, the Next step is to make the web service available to other web application over the server.To make service available to other applications , we need to install wcf services on the server or local host network. 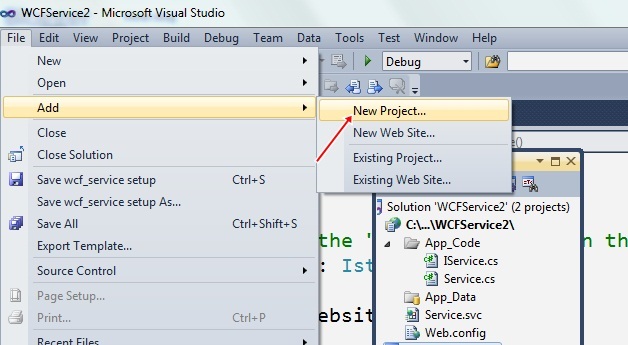 After creating the wcf service,we can use the wcf service in a web application.To use a wcf service in web application, we have to build WCF Client. Step 1:- First create WCF Client Application Follow Step 6 to Step 9 From Here . This Port Number=49768 will be different for other computers.